- The HT Solar Pump Controller is designed to run any Electric three phase submersible pump/motor. SIMA is the leading name of offering branded and top quality Pumps and Controllers. Srujana Industrial Marketing Associates provides Piston Pumps, Vane Pumps, Pressure Controls, Flow Controls and Directional Controls. Temperature Controller CMSC-7750 is a Micro-Controller based Equipment with a 4wire PT-100 (RTD) Sensor as sensing input. The operating range is from 0ºCto 400ºC. Set Value and Hysteresis are the programmable parameters. SOLAR WATER PUMP CONTROLLER FROM 1 HP TO 10 HP. CG DRIVE. AND MAKE JJ PV SOLAR. Pump Controller is Used To Controlle The Level Of Liquid, And Make You Tension Free And Saves Water , Stop Over Flow and Dry Run Of Pump. For your home and industry use.... it continues monitoring the water. TAS Make Auto-Manual Controller (AMC) is an Intelligent Electronic Controller designed to allow the User to switch on or off the capacitor bank either automatically (command received from the APFC Controller as Input to the AMC) or manually, from the AMC front panel toggle switches. 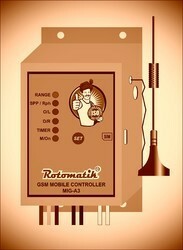 This product used with pump to monitor the pump energy consumption, control the pump remotely by using GSM. Also it prevent from pump starter failure. This product might be applicable where large amount of pump utilized e.g. railway colonies, railway yards, societies, agricultural firm …etc.